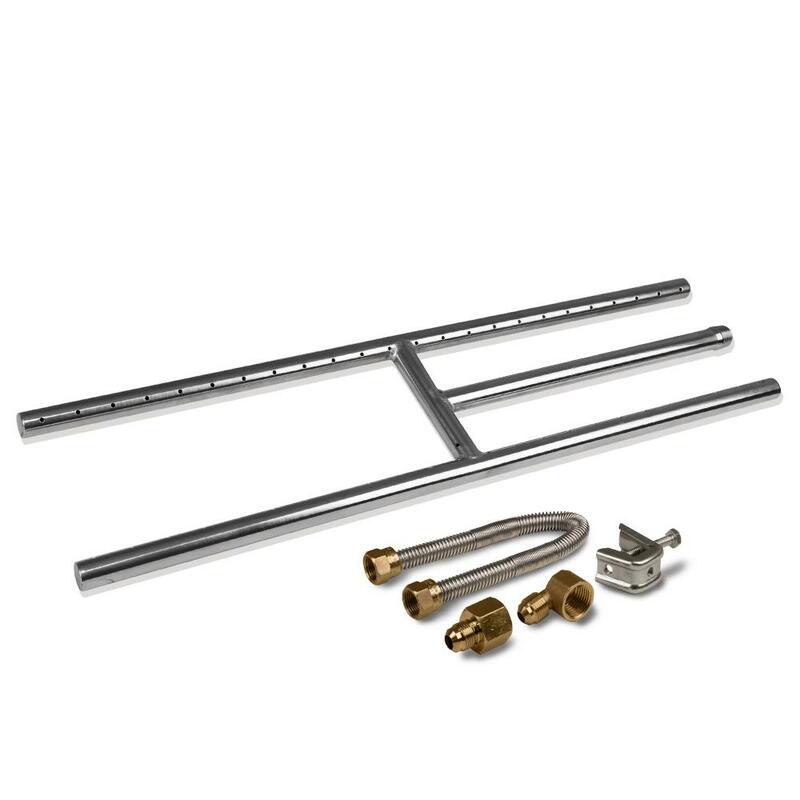 If you are looking for a way to make your fireplace the focal point of your social gathering, then the 24″ Stainless Steel Fireplace H-Burner Kit by TheGrillGuys is the answer! It produces flames that will be sure to liven up your parties. Our burners are high-end products with customer satisfaction in mind. If you look closely at some burners, you will find punched burner ports, which can bend the H-Burner slightly, and restrict gas flow. Our H-Burners sport professionally made Machined Drilled Burner Ports. Drilled ports create much better flames and increase efficiency. This 24″ x 5.75″ H-Burner is made from heavy duty thick gauge 304 Stainless Steel, which makes it much more durable. Included with this H-Burner is a Whistle Free Connection Kit. It provides a quite peaceful experience. 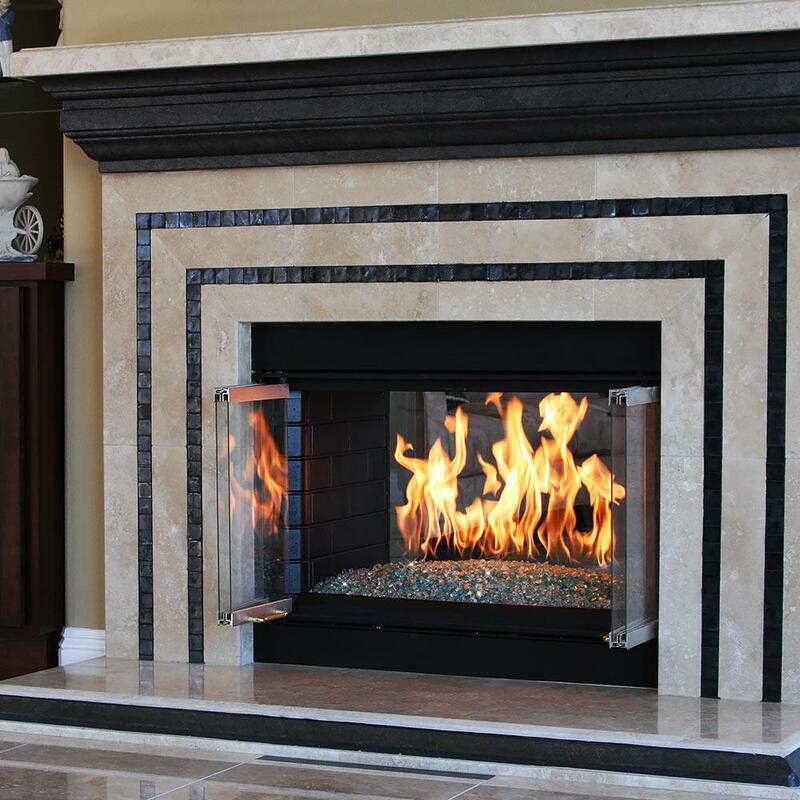 If you would like to add some color and flare to your fireplace, then take a look at our Fire Glass fire media. We have colors and shapes that will match any decor! Our H-Burner is also available in additional sizes. See our handy sizing chart in the product image tray. If you have any questions, feel free to contact TheGrillGuys. We can be reached at 805-419-0296. Sizing up your fireplace can be confusing if you don’t know what to look for. Please use the information in the chart to find the minimum fireplace dimensions to perfectly fit the H-Burner in your fireplace! Please Note: Add 4″ to the Fireplace Front Width to accommodate your safety pilot kit.